Technically the title of this post is wrong. It’s day 2 today, although I didn’t write about day 1 yesterday due to tiredness! To give you an idea of the dedication we have to update you all; it’s now 5:45 and I’m sitting at my laptop drinking coffee! ‘WOW’ is the only word I can use to describe the Big Bang Fair! WOW Indeed! My stand has been judged twice today and I’m looking forward to the results this evening. I’ve been told that our Lab team have also had a very busy time, but I’ve been so busy I haven’t seen them! The show is now sold out and a total of 20,000 people will be coming through the doors over the three days (including yesterday). It really is amazing. 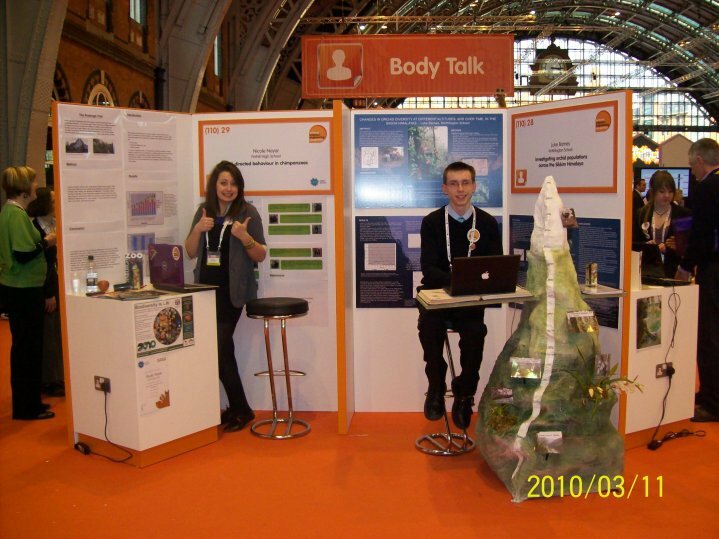 If you’re looking for more photos, have a look at the Big Bang Fair’s Facebook Group.